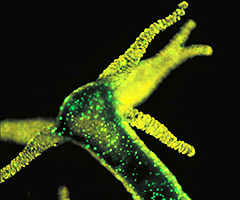 In their new book "The Holobiont Imperative – Perspectives from Early Emerging Animals", Professor Thomas Bosch, cell and developmental biologist at Kiel University and his co-author Professor David Miller from the Australian ARC Centre of Excellence for Coral Reef Studies present the main features of a new scientific field: it describes the approach to metaorganism research, which investigates how organisms have evolved over time into multi-organismic units together with their populating microbes. This revolutionary observation of life forms and microbes as functional units will alter the boundaries of biology and medicine in future. It also has the potential to enable fundamental advances in treating serious diseases of modern society. 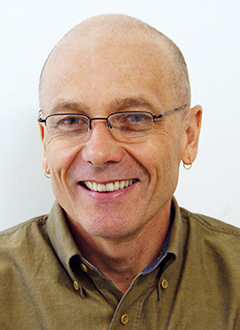 Increasingly accurate knowledge about the complex interactions between organisms and microbes, according to Bosch and Miller, requires a redefinition of biology and its disciplinary boundaries: In a spectrum of living together in common ecosystems right up to close cooperation in symbioses, animal and human life can consequently no longer be considered within the limits of individual species. The metaorganism perspective, on the other hand, will in future enable researchers to consider complex communities of life forms, environment and micro-organisms as functional units. “Using the example of original life forms such as freshwater polyps or coral, we show how the relationships between organisms and bacteria have emerged with mutual adjustment over the course of millions of years. This interaction between organisms and their populating bacteria is the focus of a new understanding of how all forms of life are in contact with their environment and how they regulate their vital functions", says Bosch on the scope of the new principle. In eleven chapters, the authors provide profound insights into the basics of this new theory. From the evolutionary origins of microbial and multicellular life, via the processes of species formation, to the role of the symbionts in this – the core of their observation always focusses on the interaction between the organism and microbes as a co-determining force in the development and function of all forms of life. Both authors also devote separate sections to their "own" relevant model organisms: Bosch as a leading international expert on Hydra freshwater polyps shows how this simple organism is ideal for investigating the interaction with populating bacteria. On the other hand, and on a completely different scale, David Miller deals with the principles of the metaorganism: as a proven coral expert he illuminates how these colony-creating forms of life can only create an intact ecosystem when in harmony with their microbial population. 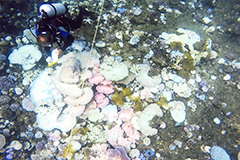 His study focuses on the Australian Great Barrier Reef, which is the world's largest coral reef stretching along large parts of the east coast of the continent. In short, "The Holobiont Imperative" therefore explains the principles of a new field of research which is of increasing importance for such areas as immunobiology, microbiology, evolutionary biology and evolutionary medicine. The book is intended for both scientists as well as non-experts who are interested in biomedicine. Kiel University has been aware of the particular significance of the subject since the beginning of the year in its own collaborative research centre: CRC 1182 led by Thomas Bosch is devoted to the origin and function of metaorganisms. 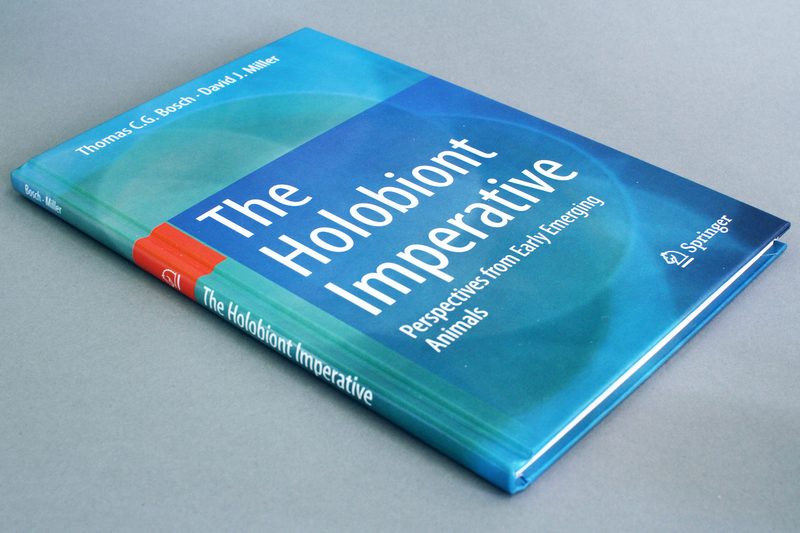 New book by Bosch and Miller: "The Holobiont Imperative”. Fluorescence image of the freshwater polyp Hydra. Research divers survey coral bleaching on a reef off of Port Douglas. 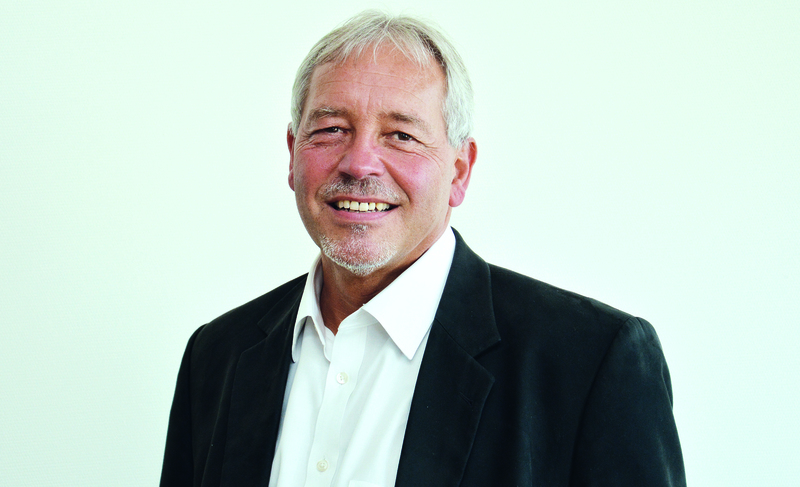 Prof. Thomas Bosch, Speaker of the Collaborative Research Centre 1182 “Origin and Function of Metaorganisms” at Kiel University.